It’s been a while since the last update, as I was ill for a couple of weeks. 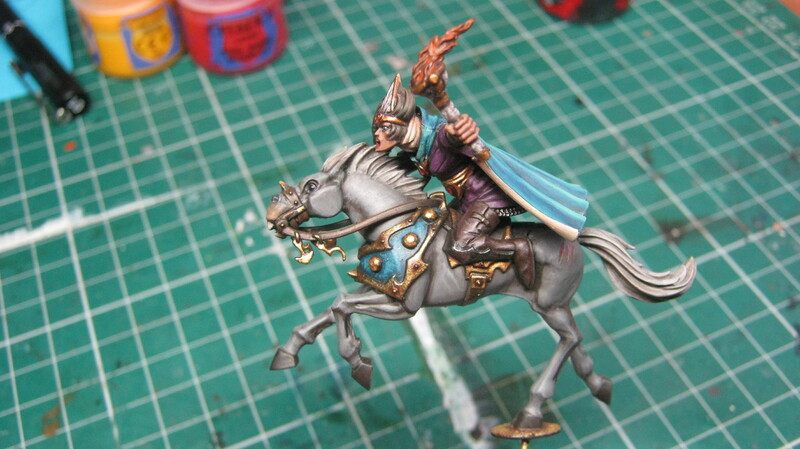 However, I’ve finished the majority of the Arabian rider – with just the freehand designs, flame, and an ornamental dagger remaining. 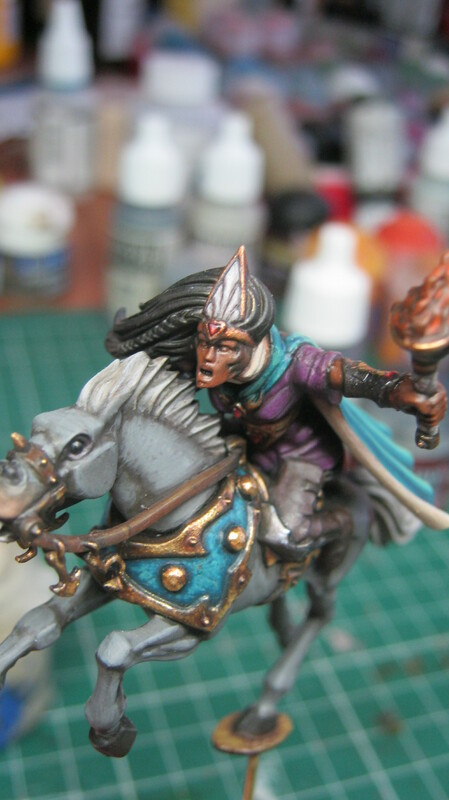 I thought it might be helpful to demonstrate how to paint dark female skin; as it can be a difficult effect to achieve. 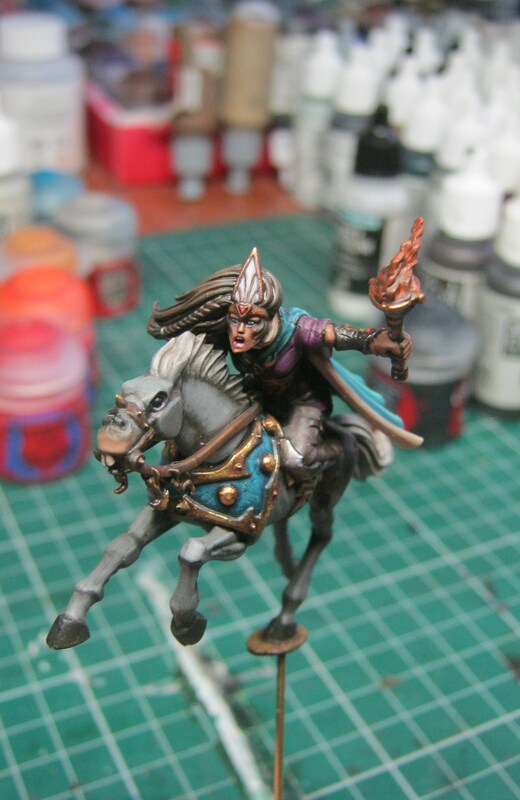 Dark skin is a challenge on miniatures, because if it’s too dark then it will lack definition – which is especially important when painting faces, as they are the focal point of the figure. If it’s too light though, then it defeats the purpose. Female skin is tricky in its own right, as it needs to be much smoother than the male variety, otherwise it looks too masculine. 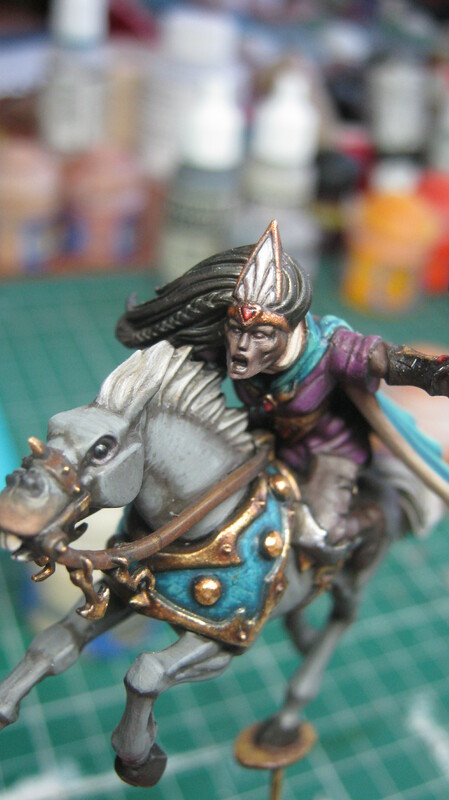 Highlight by adding increased amounts of Ushabti bone to the above mix, over successive layers. 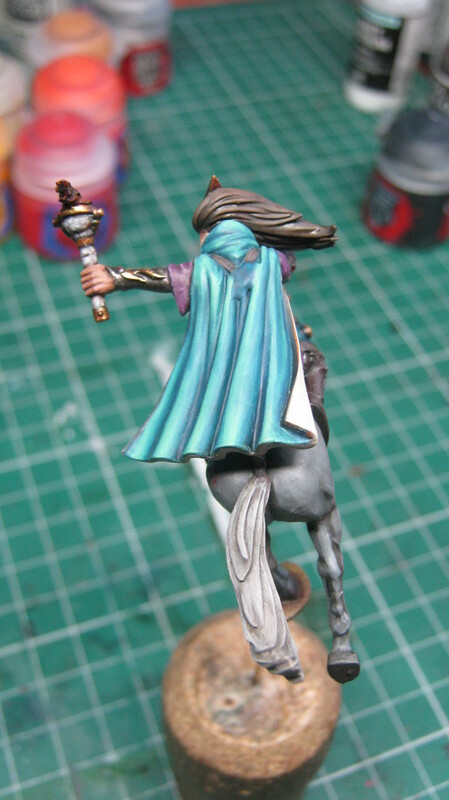 Use pure Ushabti bone as a final highlight raised areas. Glaze the whole skin area with smoke, which will unify and darken it slightly. 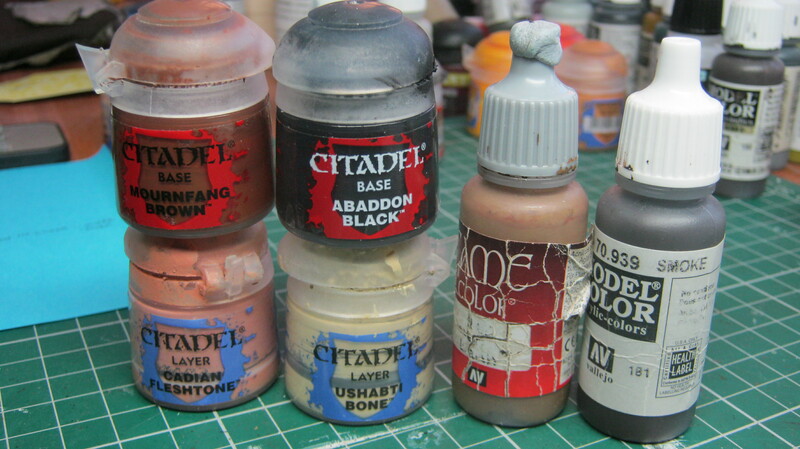 For eyeshadow use Cadian Fleshtone + Regal Blue around the eyes. For the lips, basecoat them with a dark red; highlight by adding Cadian Fleshtone; then glaze with baal red. 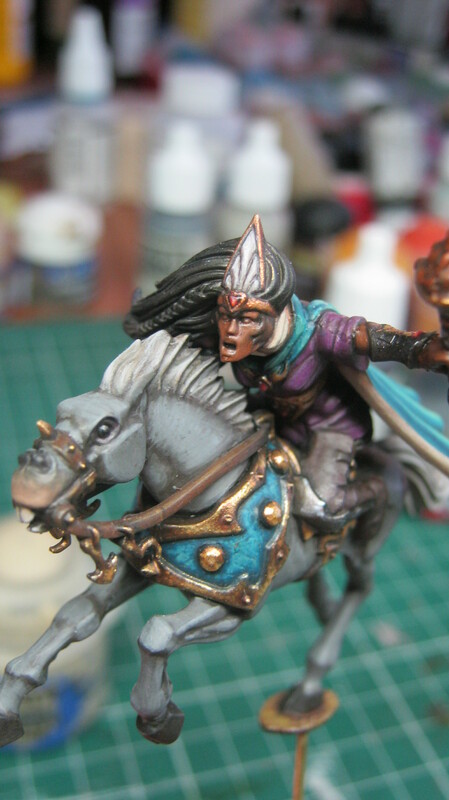 I’m going to paint the cloak with a Mehndi design – but it needs planning out properly first.